To the east of Sarcee Trail is the community of Westgate. This quiet neighbourhood is near transit stations, shopping and parks, and it only a 15-minute drive to downtown. Here are all the homes for sale in Westgate and read more about the community below. Westgate is located in between Bow Trail and 17 Avenue South, just to the east of Sarcee Trail. This small community is surrounded by other friendly neighbourhoods – Wildwood to the north, Rosscarrock to the east, Glendale to the south and Strathcona Park across Sarcee Trail. Most of the Westgate real estate are detached houses. There are also a few condos in the community. It is easy to access Westgate, with numerous entrances off Bow Trail and 17 Avenue South. 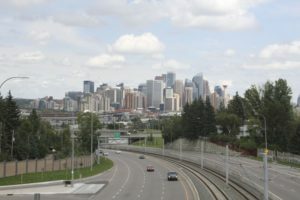 Sarcee Trail is an expressway that quickly connects to Calgary’s north and south, and Bow Trail offers convenient travel to downtown. The Calgary Transit 45 Street LRT station is located in Westgate. Trains regularly depart to downtown, where commuters can connect to the south, northeast and northwest. 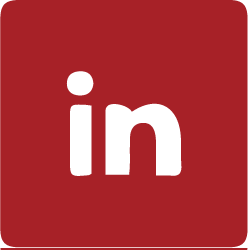 Connections to SAIT, ACAD and the University of Calgary are easy and quick. Trains also depart from 45 Street station to the west, ending at 69 Street LRT station. There is lots of shopping and amenities nearby Westgate. Westbrook Mall is only one stop away on the LRT or a five-minute drive. More shops, grocery stores and restaurants can be found just across Sarcee Trail at West Market Square, nearby to the Sirocco LRT Station. Westgate has an active community association. There are also two schools in the community – Westgate School and Vincent Massey Junior High. Lots of parks are nearby, including the Optimist Athletic Park and Edworthy Park. Pathways for walking, running and biking travel along Sarcee Trail and connect to Westhills Shopping Centre and Edworthy Park. Contact us today to learn more about the homes for sale in Westgate.